A little taste of what I’m working on for the Gardiner Museum contest in the fall. Made it through the first day of Toronto Outdoor Art. We had a great morning… and then it warmed up. Word at the show was that, including humidity, it hit 50 degrees celsius. For the record, we might see 30, once in a Newfoundland summer, maybe. It was a long day. My booth is a little out of the way. I didn’t get the traffic I was hoping for, but it was a case of quality vs quantity. I met a bunch of great people today. 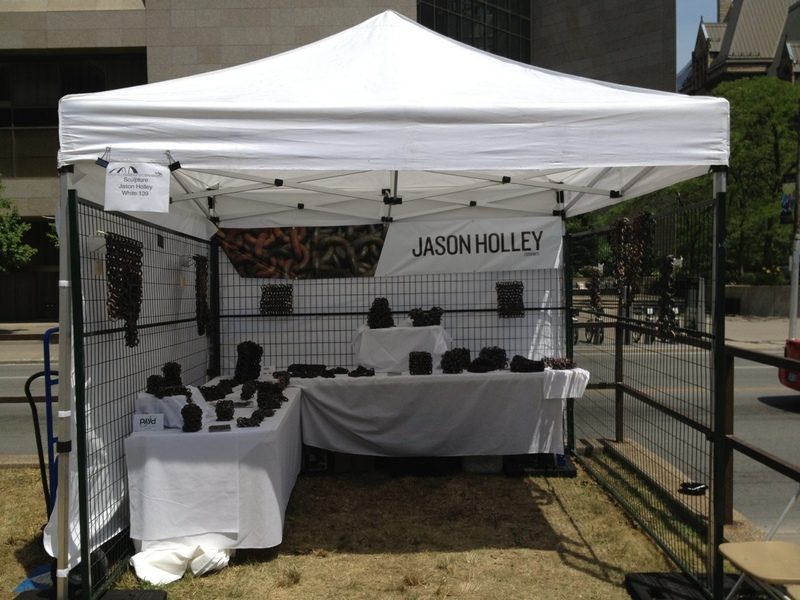 So if you are in or near Toronto this weekend, drop by Nathan Philips square for a visit. Rosalind and I are in – White 139.